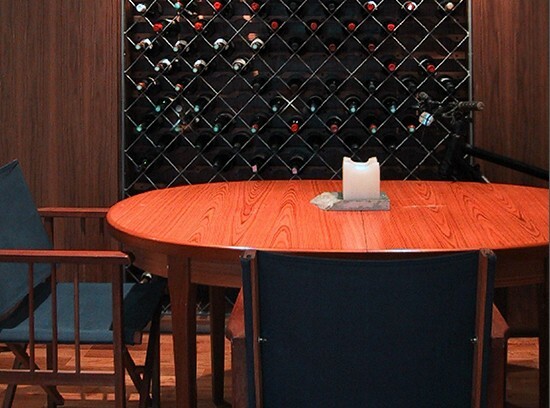 A modest refurbishment, and interior re-structuring for a couple with a passion for wine. 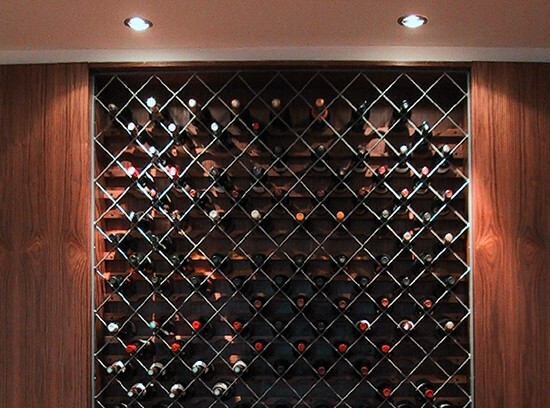 The property was a maisonette without the opportunity to create a cellar and therefore the client took the decision to store his wine collection within a bespoke storage wall. 11.04 saw this as an ideal opportunity to create texture and interest along the rear wall of the dining area, with discreet ceiling mounted wall-wash lights providing dramatic lighting on occasions.